Account information shown above is for illustrative purposes only and is presented solely to provide users with an indicative view of Swell’s online experience. The illustration does not represent the return of any individual client. An individual's return may differ significantly from the performance shown above. In fact, the illustrative returns shown may be significantly higher than a client’s actual return. 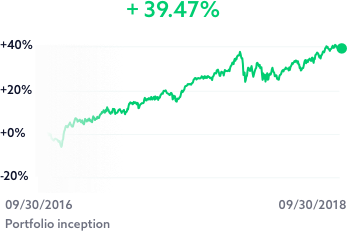 Please see the Portfolio Performance page for actual returns of the Swell portfolios. 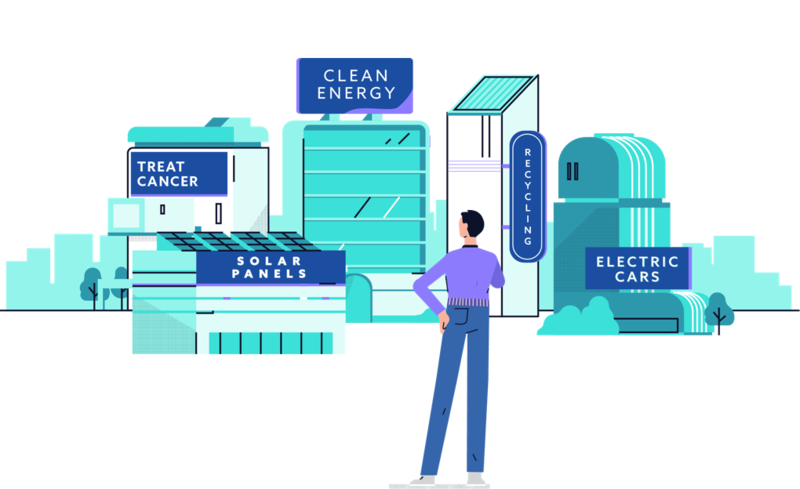 Think wind turbines and solar panels. Think electric cars and LED lights. Think water filters and pipe repairs. Think nutrition and health centers. A balanced portfolio of the 400 most impactful companies across the entire stock market. Invest in your future. Impact our world. 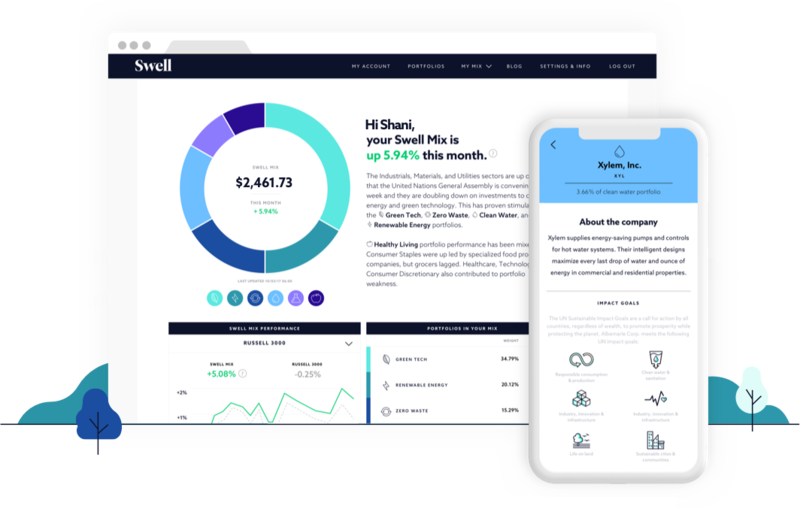 Whether your goal is a home, vacation, or retirement, Swell gives you a safe place to grow your wealth while making a difference in the world.